4 vendors have this plant for sale.13 members have or want this plant for trade. As other gardeners have noted this is a very carefree rose with evergreen leaves, with little care it even blooms through winter freezes. Remarkable. This rose is beautiful, tough and generous, and thrives in my garden in Sydney Australia. She will grow to a height of 8 feet x 8 feet if given permission, does not loose her leaves and flowers all year. I don't think that you can ask more of a rose. I water her weekly only in hot weather, feed with certified organic blood and bone, and foliar feed every two weeks with a solution of liquid seaweed (seasol in Australia) and fish emulsion (Charlie Carp in Australia). I mulch with organic sugar cane mulch twice yearly. She will occasionally develop a bit of black spot, but I don't consider this to be a problem. 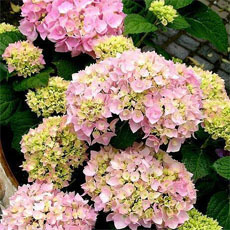 No chemical sprays or treatments are used, and I always practice good garden h... read moreygiene. As for having poisonous thorns, there in no mention of this in any literature, and the person concerned must have had an allergic reaction. Mutabilis is a fine rose for regions in the SW, it has low water needs once established and flowers continuously. Thorns seem to be poisonous. When stabbed, I find the wound itches like crazy. I've seen this rose grown as a small tree at two nurseries. This is not the typical tree rose. It is the rose, grown on its own roots, pruned into tree form. For me, it grows as a climber. It's grown into my neighbor's trees and on my side of the fence it's grown up my 12' bouganvillea. I originally tried to grow it as a bush, but could not prune it enough to keep it in check. As for mildew and black spot, it will get both. It just doesn't care b/c it grows so fast. Problem is that it sometimes passes them on to other roses. This rose didn't make it through the winter for me (Zone 7a). It may be too tender, but Mme Alfred Carriere (a Noisette) survived just fine. It's hard to say what went wrong, but it definitely wasn't the supplier's fault. Won the Victorian award thirteen times from 1998-2001. Mutabilis is an "antique rose" as it was introduced to the Europeans prior to 1894. 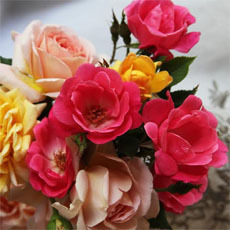 Because there are so many varieties of roses available today, they have been divided into classes. Mutabilis is in the "China" class because it was discovered there. 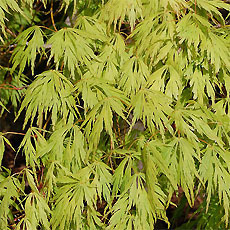 Other characteristics of Chinas are a particularly open growth habit, fine foliage and pointed leaves. These China roses were the first truly remontant or repeat blooming roses in the world. Chinas do very well in the south and come in all sizes. Archduke Charles gets large but Martha Gonzalez grows low to the ground. Old Blush is constantly in bloom with a lovely pink. The flowers of the China's won't win at the shows but they are classically old roses. A little mussy, lightly scented an... read mored delicately colored. 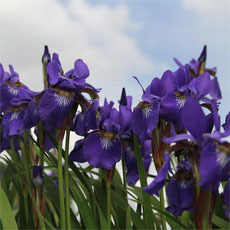 I have a 12' Madame Lombard that I have pruned up to allow daylilies and Louisiana iris to grow beneath. It's stunning. A good xeriscape plant that withstands extreme heat and drought, this "old-fashioned" rose has survived for generations with minimal care. It will bloom all season without supplemental watering. The buds are vivid flame-red. 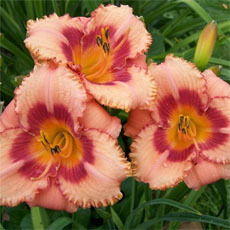 Silver dollar sized, simple, slightly fragrant blooms begin as yellow turn to apricot, then pink and finally crimson. It sets 1/2" globular hips in the late summer and fall. They are green at first and gradually turn a pumpkin orange. Plant it where it can do its thing without having to be heavily pruned. 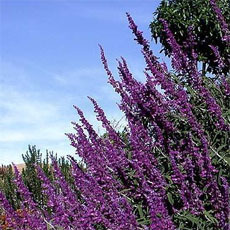 Flourishing as a fast grower, it needs a lot of space, both in heighth (6' to 10') and width (5' to 8'). 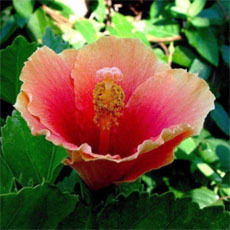 In warm climates or a sheltered location, some specimens have grown to 20' tall. An extremely healthy rose, it seems to have ... read moreno disease problems and tolerates poor soils and partial shade. 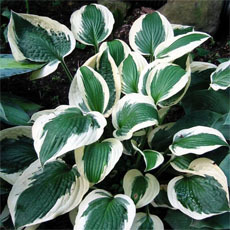 Planted in alkaline soils, the foliage may have a yellowish tint which does not affect the blooms. In very hot summers it may experience some leaf shed. It is suitable for growing into trees, growing in pots, growing as a climbing or pillar rose and growing as fence rows or a hedge. Availability is limited, but it roots easily from cuttings. It is now being planted by landscapers throughout San Antonio making a great comeback after being a "forgotten jewel" for so long. The blooms change color as they age (thus "mutabilis"), progressing through the colors listed above (although I'm unsure of the order) and ending in crimson just before the petals drop. It's a vigorous bush, can be trained as a climber. Mine grows up and over an 8 ft arbor and needs even more room. "Butterfly" is in it's 3rd year in my garden, 1st photo above is April 17th. I cut it back hard in January, first bloom was end of March. 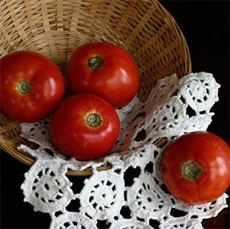 Although it does get Black Spot, it is said to be disease-free. A fine rose for Southern gardens, the heat and humidity doesn't slow it down much, it blooms untill frost. Very different with lt yellow, peach, lt pink and dark pink all at once, not to mention the buds! It has been 4 x 6 in my lightly shaded spot.